I know sub-studio posted about this a few days ago, but I think it bears repeating. 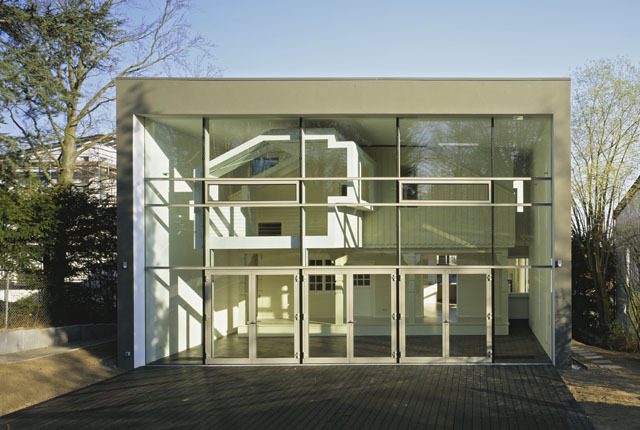 I have loved the Wohlfahrt-Laymann Residence by Meixner Schluter Wendt since we wrote about their spaceship Star Wars thing way back in April. In this very unique house addition, what looks like an existing ski chalet from central casting is completely enclosed in a new box, creating some great interior spaces with what used to be the exterior of the house. The sophisticated cut outs in the new box relate well to the interior layout, and some new sculptural additions to the existing house are also added, also on the interior of the new box. Got that? Check out their great diagrams and plans if you need to get up to speed.